Successfully Added 10.4 Inch Widescreen DVD and Multimedia Player to your Shopping Cart. 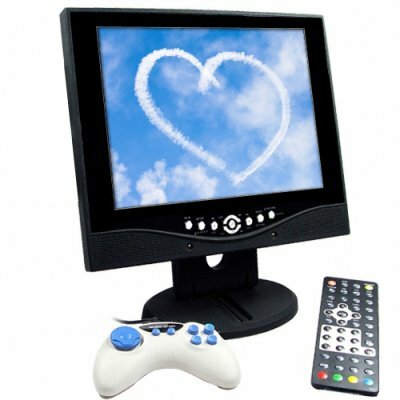 10.4 inch TFT LCD widescreen DVD player with an intense amount of multi media features and abilities, making it a perfect small entertainment center for the bedroom, dorm, conference room, lunch room, or even the RV / SUV. With both analog and DVB-T TV tuners, full featured DVD player, USB port and SD/MMC card reader, as well as an NES video game emulator with hundreds of classic games, this is a sure fire way to make the most of your limited fun time. Get the latest in all-in-one entertainment centers by logging in and placing your order today, and don't forget to order in bulk for even greater wholesale savings for excellent resale opportunities. From your home for direct from China electronics, Chinavasion..